Editor’s Note: Leading up to the announcement of the 2015 Rider of the Year we are re-releasing pieces of each of the past 14 ROTY articles from the magazine. Reed Hansen dominated the entire wake scene in 2011 and was a clear choice for the ROTY award. Reed Hansen is not your typical 21-year-old. Despite being the most successful wakekater on the planet (he’s the five-time reigning World Champion and four-time reigning overall Toe Jam champion), Reed still lives at home with his parents in the country town of Groveland, about 40 minutes west of Orlando. Reed grew up on the lake in his backyard and in the orange groves that surround it. He’s a country boy through and through, but a straightedge Mama’s boy, too. He doesn’t smoke, drink, or cuss. Reed loves big trucks, big guns, camo, the Bible, and of course, wakeskating. While his lifestyle might be curious to some, Reed wouldn’t have it any other way. Hang out with Reed for a few minutes and you feel like buddies on a level playing field. Watch him wakeskate for a few minutes and you realize he’s in a world all his own. What Reed has done in wakeskating, to wakeskating, and for wakeskating over the last five years is nothing short of incredible. Obviously the competitive accolades speak for themselves, and while some members of the wakeskating community might use them to speak against Reed, they can’t say anything about everything else Reed has done (and there’s a lot). Crazy highlight clips on the Internet? Check. Landing tricks nobody else has ever done? Check. Landing tricks switch nobody else has ever done? Check that, too. Conceptualizing, building, and riding new rails and obstacles? Check and check. Be one of the coolest and most approachable guys in the sport helping to spread the word, stoke, and progression as an ambassador? Easy check. Even for the so-called knocks Reed might receive as a “contest rider,” every other top pro wakeskater will tell you they respect Reed for what he is able to do and how consistently he is able to do it. Only some will admit to wishing they could do what Reed can do, but deep down they all wish they could. 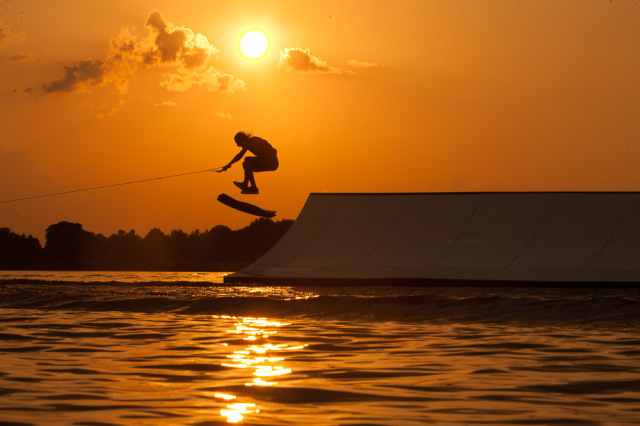 As wakeskating has progressed over the last five years riders have started to specialize in certain aspects, much like with skateboarding and snowboarding. In skateboarding there are park guys, street guys, vert guys, etc. It is rare to see a skateboarder excel in all aspects. In snowboarding there are big mountain guys, park guys, urban guys, and halfpipe guys; and it is also rare to see one guy excel in all aspects. 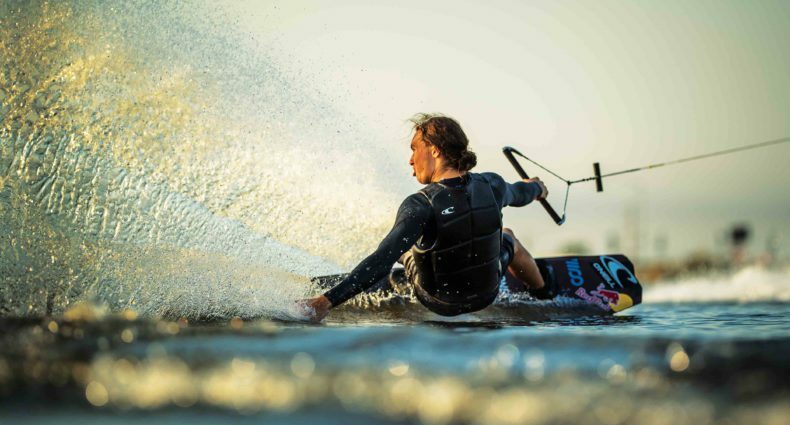 Wakeskating now has guys specializing in park/cable riding, boat riding, PWC/flats/rail riding, and winch/urban riding. There are guys in each discipline at the top of the sport, and there are a few guys who are good at all of them. But there isn’t a single wakeskater on the planet that is as good at every discipline as Reed. The proof is in the pudding (Reed’s trophy case). Yes, Reed is competitive. He hates losing. 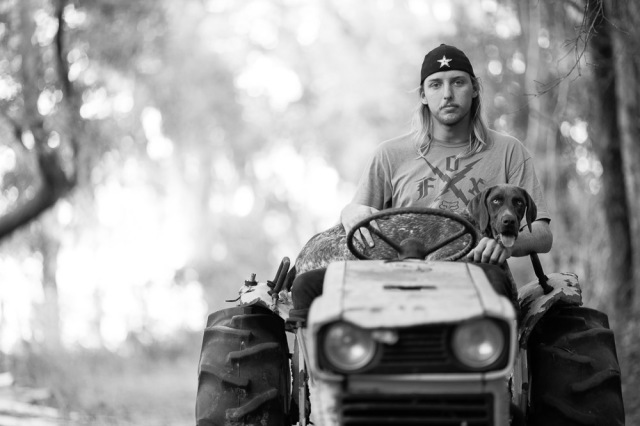 He wants to ride well all the time; and behind that goofy, country-kid attitude lays a killer instinct. But Reed doesn’t wakeskate because he’s competitive. Reed wakeskates because he loves it. Why else would he huck himself off an eight foot drop at Radar Lake for over two hours trying to land a backside bigger flip, even when it got too dark for the cameras to keep rolling? Why else would he work with Fox to build a 60-foot spine in his backyard? Why else would he buy a used Bobcat in an online auction so he could work to build new pools/gaps/etc in his backyard?